Kraabel, A. Thomas Died Nov. 2, 2016 having lived with Parkinson's Disease for 28 years. Formerly of Minneapolis, he served as Pastor at Our Saviour's Lutheran Church 1961-1963 and as Faculty in the Dept. of Classics at the Univ. of MN. 1967-1983. 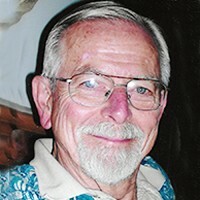 Retired in 2000 having served as Dean of the College and Faculty in Religion and Classics at Luther College, Decorah IA. Survived by wife Janice, son Allen (Debra), son Thomas (Kristine), daughter Sarah Kriewall (Dan), five grandchildren and three great-grandchildren, brother Paul S. Kraabel and family. Memorial service at First Lutheran Church, Decorah, IA, 2pm, Nov 11, 2016.